Outdoor television and radio personality Ray Eye is America's most recognized turkey hunter and premier national seminar speaker. Ray's endless adventures have appeared in countless magazines, newspapers, radio, and television shows. With twenty-five years of seminar experience, Ray's own style of humor, story telling, and rapid insights into hunting make his programs both educational and entertaining. 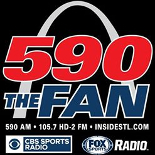 Ray is host of “Eye on the Outdoors” television show and host of “Eye on the Outdoors” radio show on KFNS 590 The Fan in St. Louis. Ray Eye, a true pioneer of modern-day turkey hunting, presents his all new, state of the art, DVD video projection seminar program. Eye's show will include some of the finest turkey footage ever produced with more than 25 actual wild turkey hunts. "I've given thousands of seminars and clinics over the years in countless towns across North America. This program answers the most asked questions from turkey hunters everywhere: when, where, and how to call and kill turkeys." "Turkey hunters today are at a much higher level of knowledge and expertise than just a few years ago. I'll show you my techniques and tactics regarding the 'setup', 'calling the wild turkey,' and perhaps one of the most crucial aspects of all, 'taking the shot.'" Ray Eye will promote all seminars, personal appearances and your event on his radio programs, TV when possible, and on Ray Eye Web Site. During all advertising of program during live radio interviews Ray Eye promotes your event. RATE CARD TERMS AND CONDITIONS: Note: contact Ray Eye in writing by e-mail for rate card cost of seminars. A one night full-length seminar for group or organization conducted at your facility ........... plus expenses. Sports shows, Hunting shows three-day events. Friday, Saturday and Sunday. Package includes seminars, one on Friday, two on Saturday and one on Sunday. Seminars are not to exceed four seminars. Same rate for weekend with fewer seminars, no discounts. .............. Plus all expenses, including first class airfare. Banquet program and Fund raising MC work. ............. Plus all expenses, including first class airfare. $2,500.00 seminar fee, $500.00 per travel days, $1000.00 non-refundable deposit to confirm booking. Balance due 30 days prior to appearing. Free booth space is required for sponsors. All Ray Eye Seminars and speaking presentations are copyrighted. Reproduction of seminars or speaking engagements in any form, electronic or mechanical, including recording, videotaping, or by any other means of storage/retrieval system is prohibited without written permission.